I have walked past this restaurant SO many times but never actually tried it. I clocked their lunch deal on 5pm and decided to give it as bash. 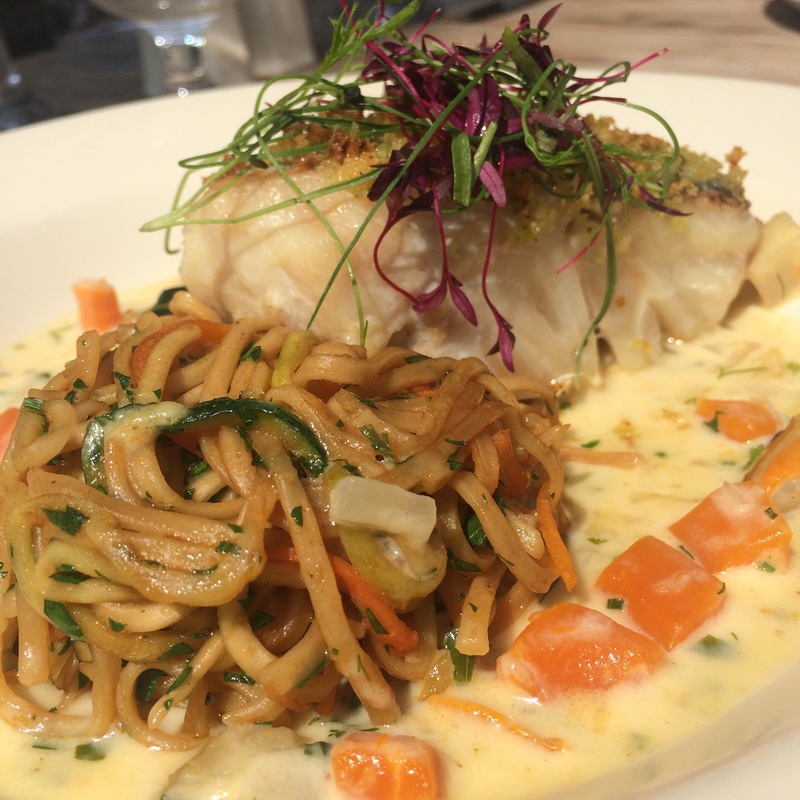 In terms of value for money: The City Merchant is the ONE for seafood lovers! 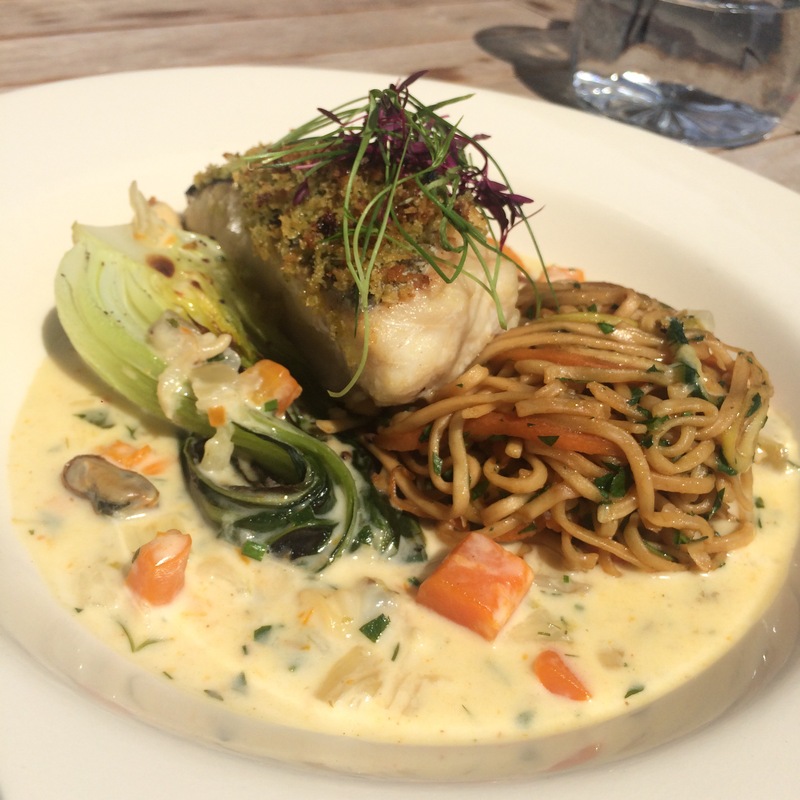 Delicious food with inventive recipes, served delicately and you pay average lunch prices? Yep, I’ll take that. It was a rare sunny day so we took a table outside and enjoyed the sunshine as we sipped our wine. I love doing that and pretending that’s how I spend all Saturdays! 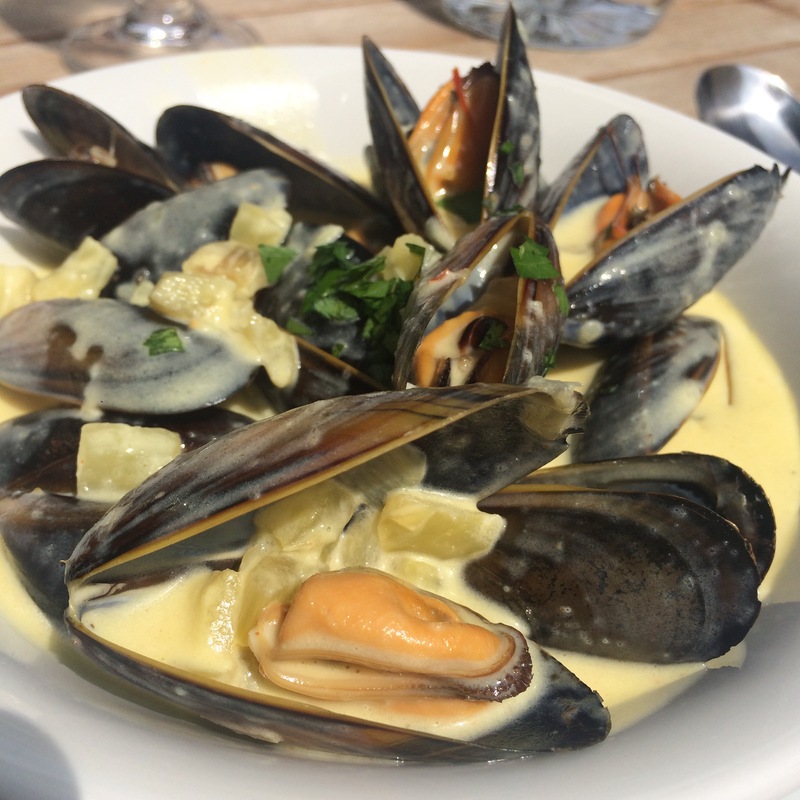 I won’t ramble on as its a simple dish – garlic cream mussels – and it was beautiful! 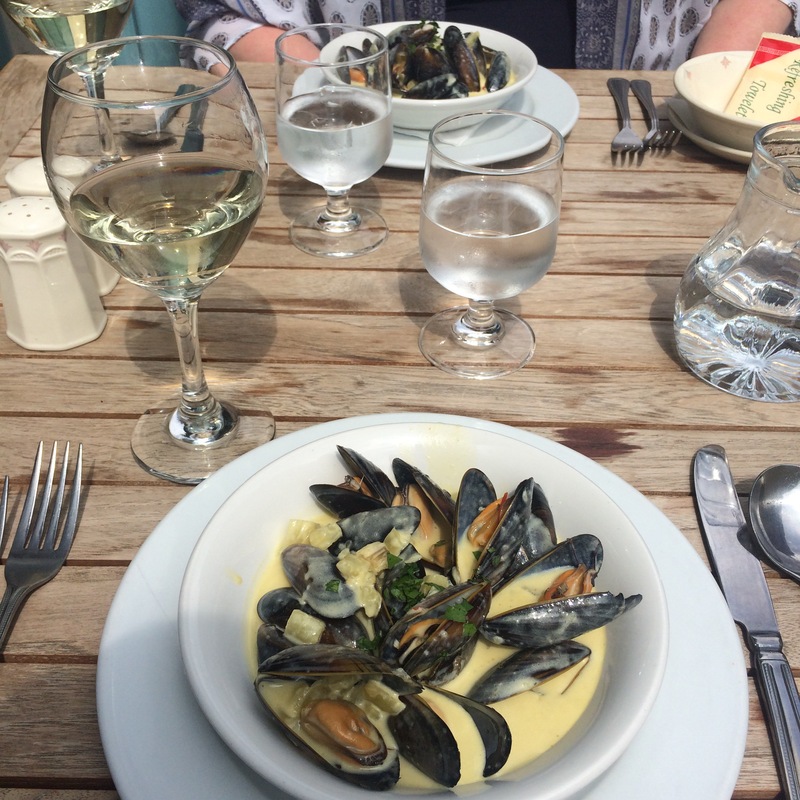 I will comment on the big plump mussels though – they were gorgeous! This is where the magic began: main courses. Feast your eyes! 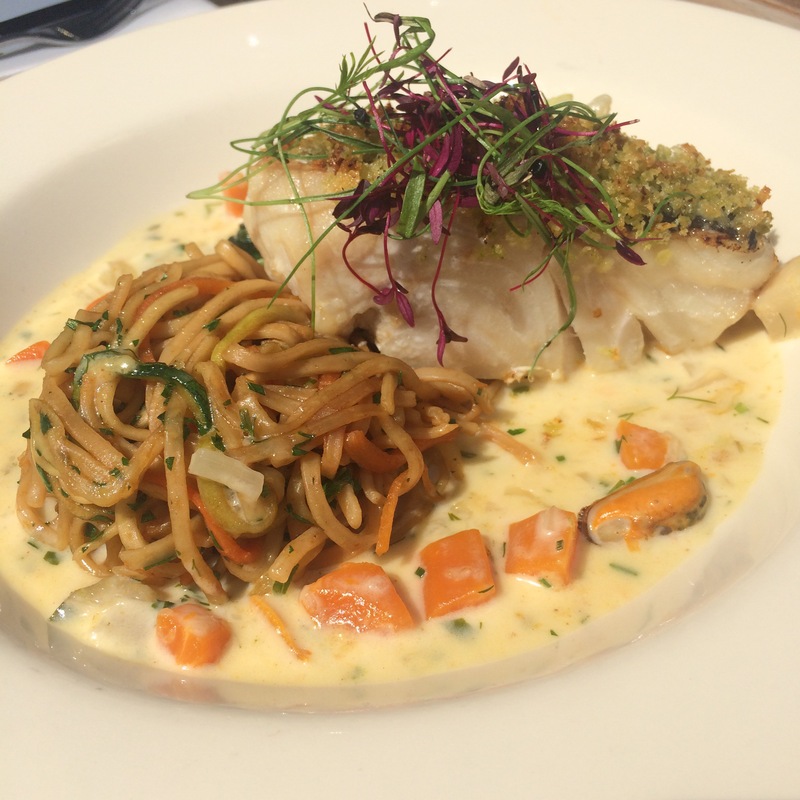 The gorgeously meaty hake was served with the most decadent whisky butter – it tasted of sheer luxury! The mushrooms added a quirky flavour. 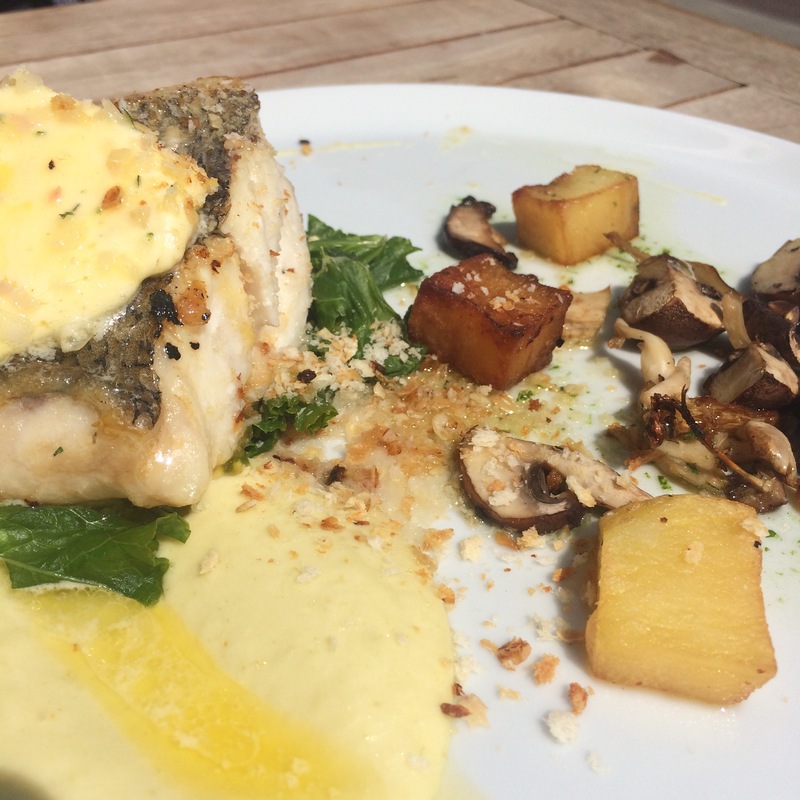 Typically I don’t really see mushrooms as being a suitable fit for fish – its just my opinion, and I’ve never put them together in my own cooking. But I stood corrected here: the taste of them added with the caramelised taste of the potatoes obviously worked, but the creamy peaty sauce ties the whole up and they worked together beautifully! This was just to die for. That broth just won it for me. I had pictured a Thai theme based on the name of it, so to be served this creamy and homely/comfort food version which still included noodles and Pak Choi was exciting and delicious. 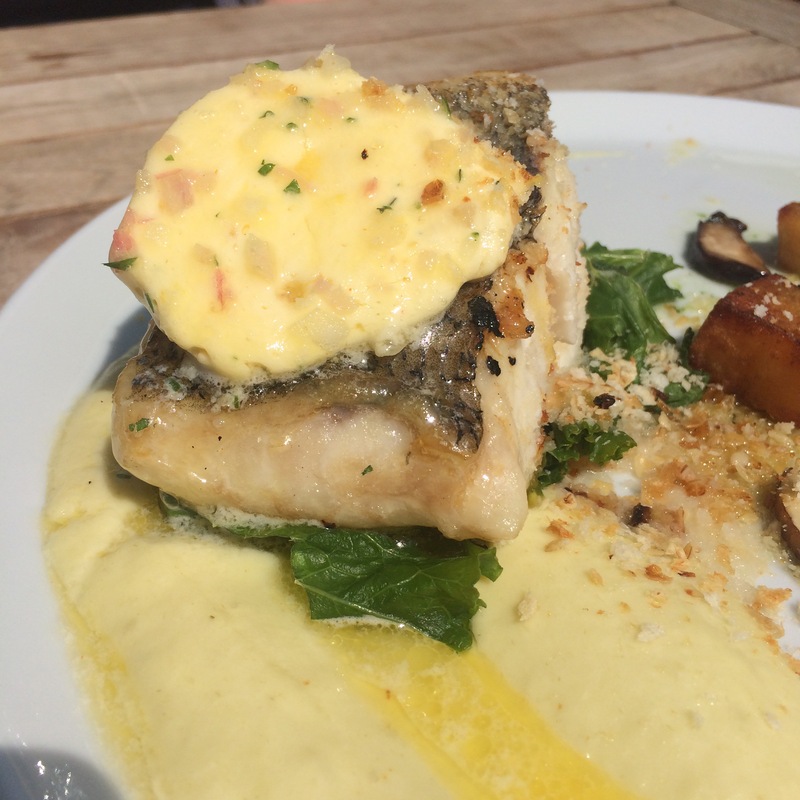 The crumb on the fish was absolutely beautiful as it was sweetened with coconut. The chefs here understand a flavour profile and really put on a little show on your plate. I loved it! 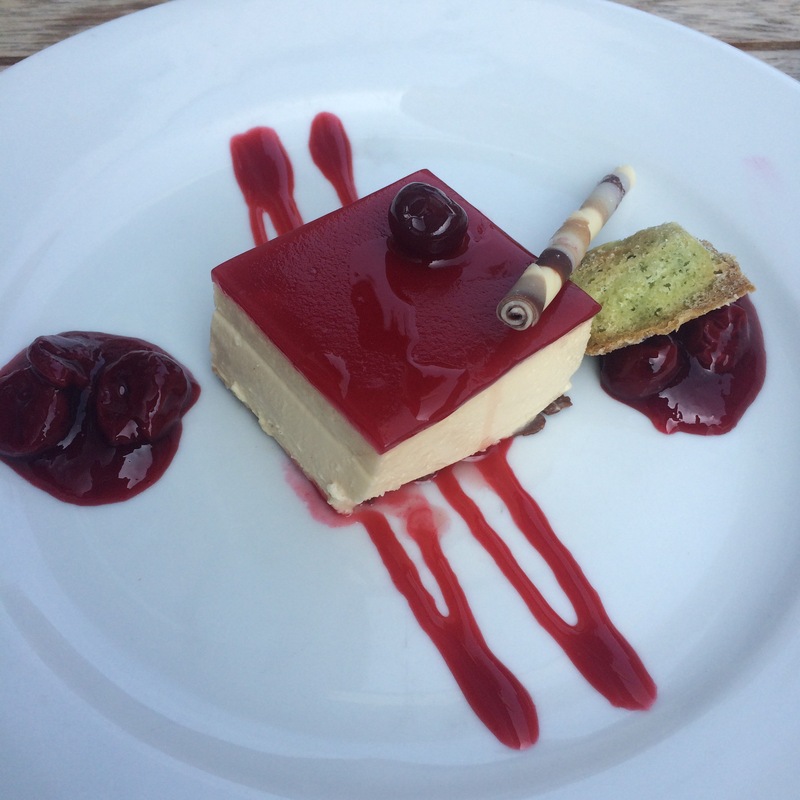 This was really tasty – a nice and light but indulgently creamy dessert with tart and deep flavoured cherries to balance it out. 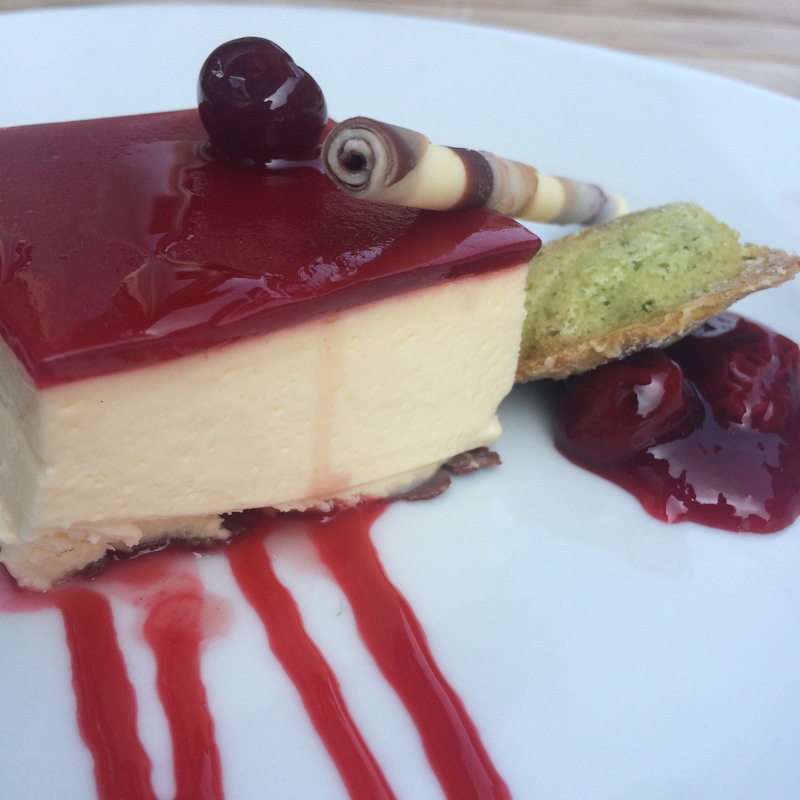 My mouth is watering thinking about those Amarena cherries! 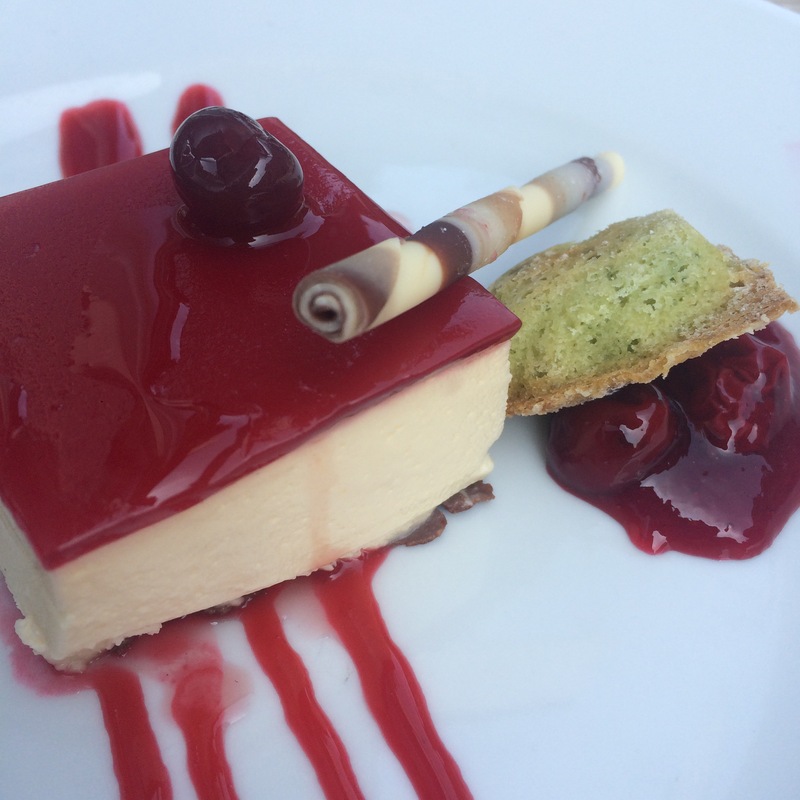 I wasn’t a big fan of the pistachio tuille-esque biscuit so after a bite I abandoned it and focussed on the delicious bavarois goodness. 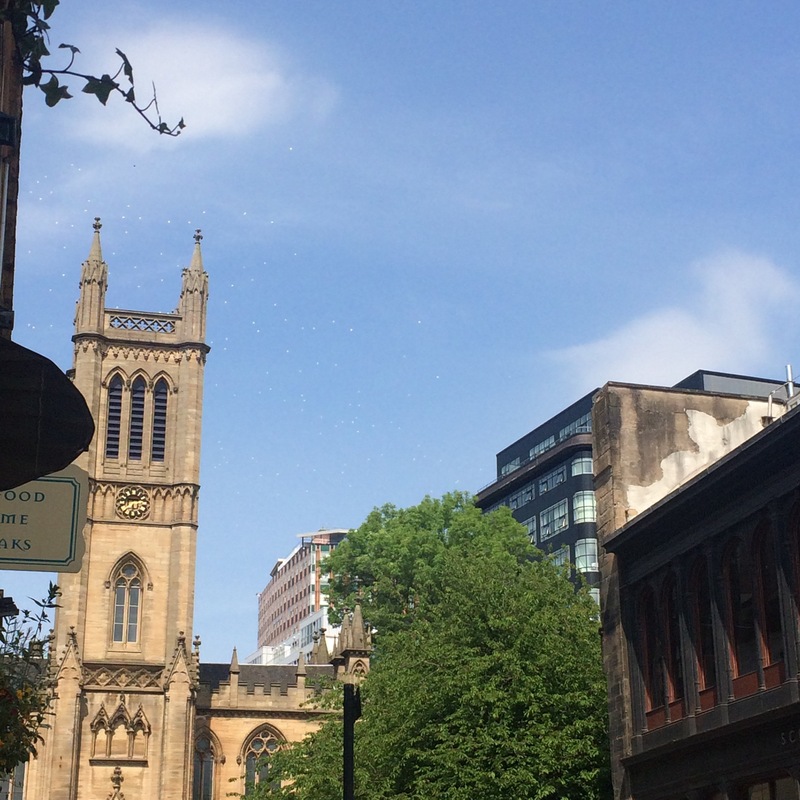 We sat outside and enjoyed the lovely day, wine and food and if you look at the pucture closely you can see hundreds of balloons in the air! What a delightful day. I will definitely be back for more!